Two matches were taped for the next episode of NXT television prior to TakeOver: Chicago. 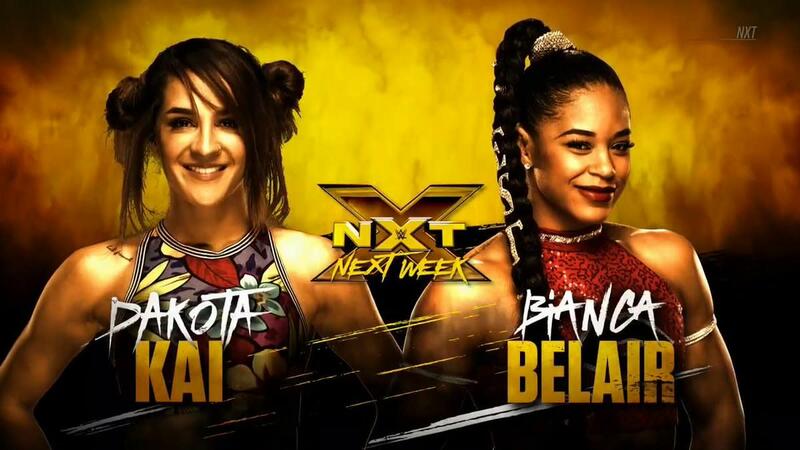 In matches that were both set up last week, Bianca Belair defeated Dakota Kai and War Raiders defeated The Mighty (TM61). Belair vs. Kai was taped second and was said to be good and competitive. The crowd was also into War Raiders. Belair interrupted an interview with Kai on last week's show. Belair said she's the person who should have been being interviewed, that she's the best, and that Kai needs to get to the back of the line after failing against Shayna Baszler. Kai then challenged her to a match. War Raiders responded to The Mighty putting the tag team division on notice by destroying an enhancement team and saying they'll show Shane Thorne & Nick Miller what mighty really is. NXT will follow up on TakeOver when they return to Full Sail University for TV tapings this coming Thursday. Who could be NXT to watch in 2018?